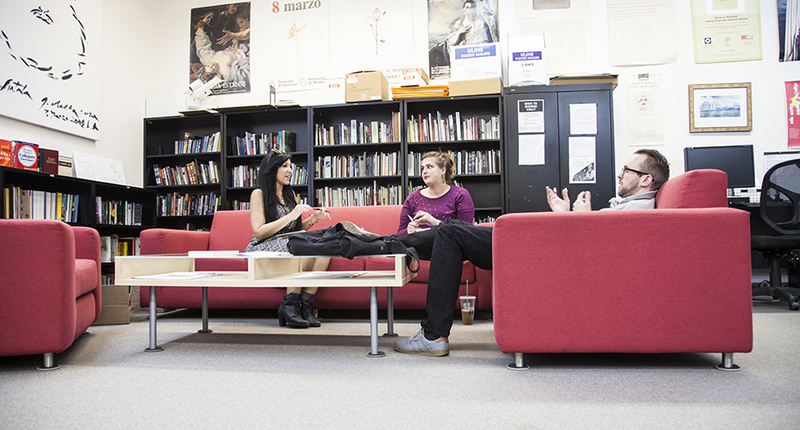 The Creative Writing Minor offers art and design students an opportunity to give voice and shape to their creativity through a variety of written expressive forms. The minor provides guidance and support to students in a structured environment to develop their writing, and an exciting way to explore their personal visions through workshops and lectures. The Creative Writing minor is open to students majoring in Architecture/Landscape/Interiors, Communication Arts, Digital Media or Fine Arts. Fashion Design, Product Design and Toy Design majors are eligible on a case-by-case basis, with approval from their respective Department Chair, and may require course approvals and/or additional credits over 130 to complete. **LIBS440 Capstone should address a Creative Writing topic. Fine Arts majors will take this Creative Writing Capstone in place of LAS Upper Division elective in order to also fulfill the Fine Arts Capstone/Senior Thesis requirement. Course Descriptions are listed in the Liberal Arts and Sciences and Graduate Writing sections of the Course Catalog.